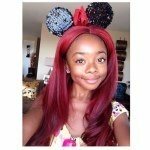 Skai Jackson (born April 8, 2002) is an American actress. She is known for her role as Zuri Ross in the Disney Channel series Jessie and Bunk'd. Jackson was born on April 8, 2002 in New York City. She began her career as a child model appearing in numerous national commercials, including for Band-Aid bandages. Her first major acting role was in the independent film Liberty Kid (2007), followed an episode of Rescue Me (2008) and the film The Rebound (2009). In 2009, she was cast member of the Nickelodeon pre-school animated series Bubble Guppies playing role of Little Fish. From 2010 to 2011 she guest-starred in the television series Team Umizoomi, Royal Pains, and Boardwalk Empire. She also had small roles in the 2011 films Arthur and The Smurfs. In 2011, she was cast as Zuri Ross in the Disney Channel sitcom Jessie. In 2014, she guest-starred in an episode of Disney XD's animated series Ultimate Spider-Man. In 2015, a new Disney Channel series Bunk'd, a spin-off of Jessie, was announced where Jackson reprises her role of Zuri Ross. Year Title Role Notes 2010 Team Umizoomi Kayla Voice role; episode: "The Rolling Toy Parade" 2010 Royal Pains Maddie Phillips Episode: "Big Whoop" 2011 Boardwalk Empire Aneisha Episode: "What Does the Bee Do?" 2011–2013 Bubble Guppies Little Fish Voice role; main role (seasons 1–2); 39 episodes 2011–2015 Jessie Zuri Ross Main role 2012 Austin & Ally Zuri Ross Episode: "Austin & Jessie & Ally All Star New Year" 2012–2014 Dora the Explorer Isa the Iguana Voice role; recurring role 2013 Good Luck Charlie Zuri Ross Episode: "Good Luck Jessie: NYC Christmas" 2013 The Watsons Go to Birmingham Joetta Watson Television film (Hallmark) 2014 Ultimate Spider-Man Zuri Ross Voice role; episode: "Halloween Night at the Museum" 2015–present Bunk'd Zuri Ross Main role 2015 K.C. Undercover Zuri Ross Episode: "All Howl's Eve"
^ Kowalski, Kristine Hope (April 8, 2015). "Happy Birthday: See 13 Pics of Skai Jackson Growing Up on the Red Carpet". Twist. Retrieved May 12, 2016. 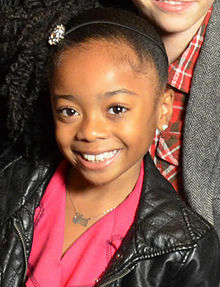 The Jessie actress is celebrating her 13th birthday today.... ^ a b c "Show bios - Skai Jackson". Disney Channel Press. Retrieved December 12, 2015. ^ "Skai Jackson, from Disney's "Jessie", crowned Queen of Lip Sync at Premiere Event". Premiere Event. Retrieved December 8, 2014. ^ Ge, Linda. "'Jessie' Stars Get Animated for 'Ultimate Spider-Man' Crossover (Exclusive Photos)". The Wrap. Retrieved December 8, 2014. ^ Andreeva, Nellie (February 25, 2015). "Disney Channel's 'Jessie' Ending Run, But Spinoff Series Set With Stars Peyton List, Karan Brar & Skai Jackson". Deadline Hollywood. Retrieved February 25, 2015. ^ "All Howl's Eve". Disney Channel Press. Retrieved September 21, 2015.